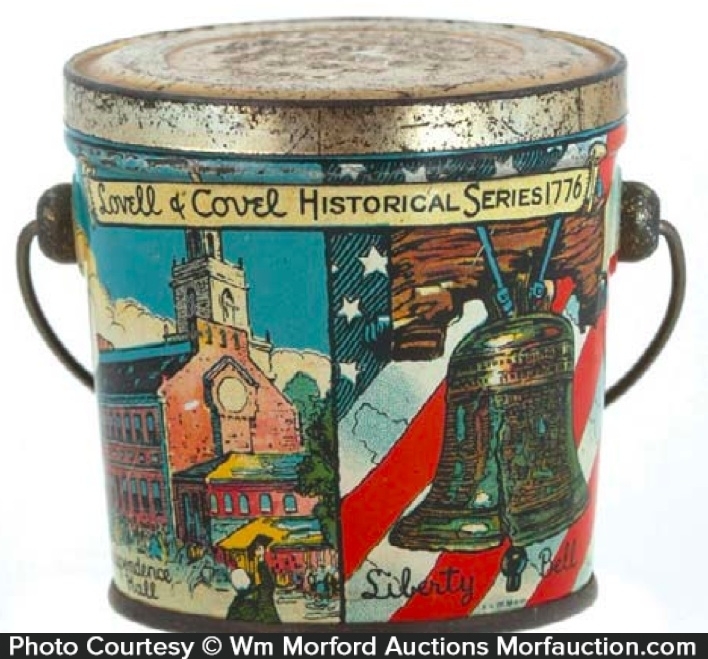 Tin litho candy pail from Lovell & Covel Co. featuring beautiful multi-color graphic historical US 1776 landmarks. 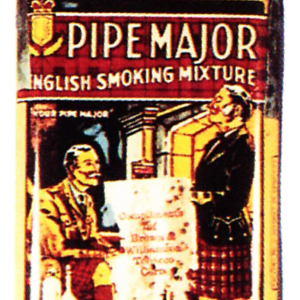 SKU: 65-175. 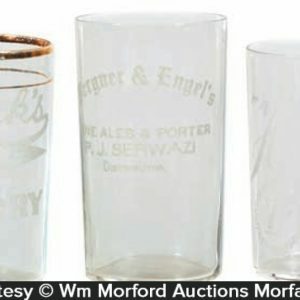 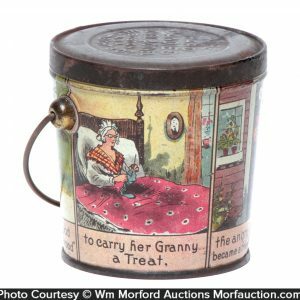 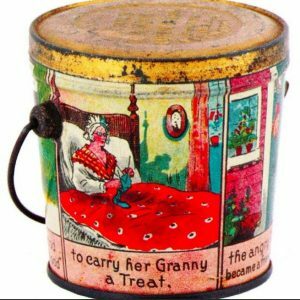 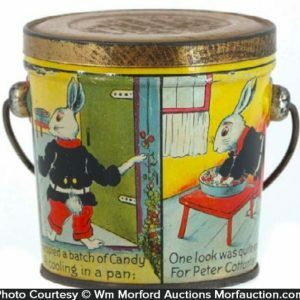 Categories: Antique Tins, Vintage Candy. 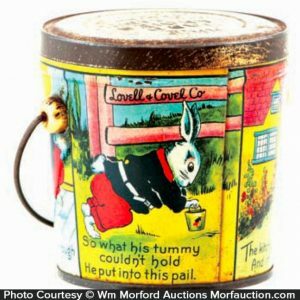 Company/Brand: Historical Series 1776 Candy, Lovell & Covel Co..
1776 Historical Series Candy Pail: Tin litho candy pail from Lovell & Covel Co. featuring beautiful multi-color graphic historical US 1776 landmarks. 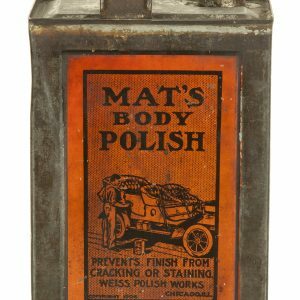 Clean, bright and excellent (C. 8.5/+), w/ light wear to lid.